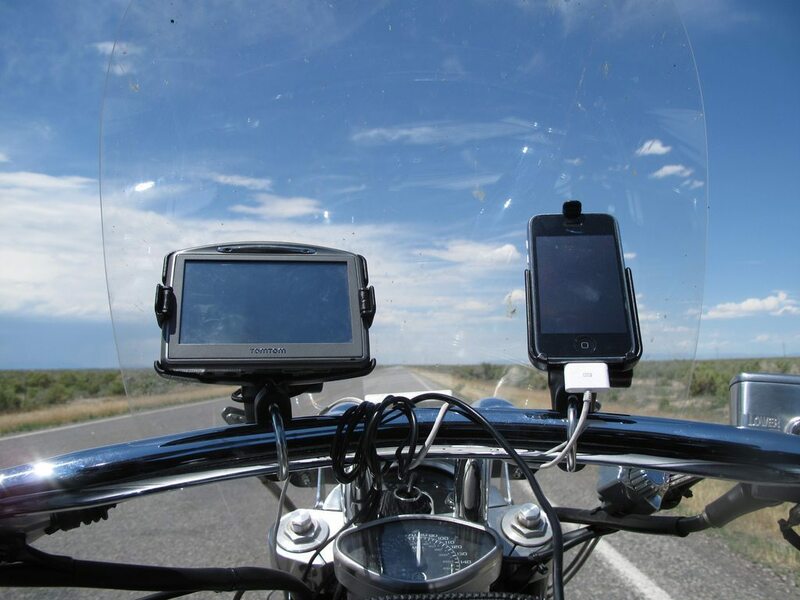 Thinking of planning a motorcycle trip? Here’s some advice from Happy Gilmore. 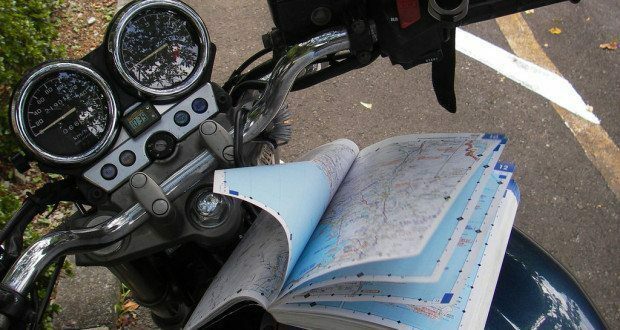 He’s no world traveler, but he’s gone on more than a few thousand mile rides and when he’s on his meds his advice on motorcycles is second to none. The first step is always to get a good map (or pull up Google Maps if you’d prefer). 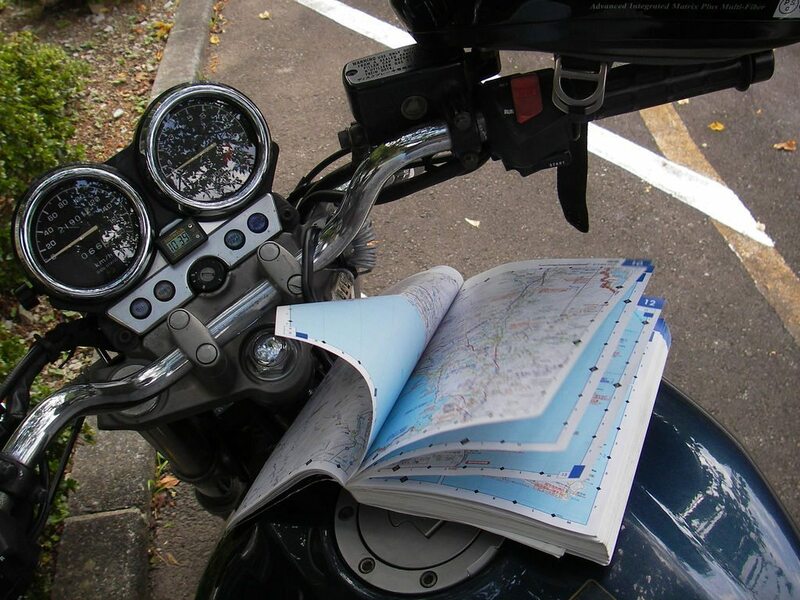 Now if you’re just looking for a place to ride then start scanning the map for squiggly lines. The squigglier the better. Part of what makes riding a motorcycle so amazing is the fact that you can actually lean and truly feel the corners, so get out there and find yourself some curves! Bonus tip: enable TERRAIN (?) view on Google Maps to see the heights and depths of the terrain. Mountainous or hilly areas will generally have some nice windy roads and the curves are on inclines and slopes for extra fun. Because of the importance of a map a GPS and/or paper map, a tank bag with a visible map pocket is ideal. We recommend you take a paper map or a few Google Maps print outs, just in case your GPS battery isn’t as dependable as it used to be. Next, make sure you know the fuel range of your bike, and the range of your reserve or fuel light before your bike is actually empty. Published numbers my manufactures are a good guideline but don’t trust them completely. Also keep in mind that how aggressive you are with the throttle and how much weight your bike is burdened with affects the actual distance you can travel on a tank. Once you’ve got a destination in mind and an understanding of how far you can travel between fuel stops be sure to search for gas stations along your route and measure the distance between them to make sure you’ll be fine. 5-litre (1.3 gal) jerrycans can be had for around $5.00 and are handy as a portable way of extending your mileage when traveling through rural areas. Next plan your food stop(s) and consider bringing food and water in addition to stopping along the way. Meals and refreshments are a great way to reduce muscle and mental fatigue and scan over your bike periodically, as long as the budget can handle it. Planning routes along scenic roads that encourage you to stop and snap photos is another great way to ensure you rest and get off your ride from time to time. Finally, tell a friend or family member where you’re heading, or post about it on Facebook for the world to know. No need to brag about it, but letting people know where you’ll be and bringing a cell phone with you is a great safety precaution. Previous: How Do Reflective Signs Work? 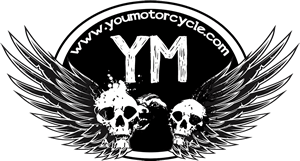 Happy Gilmore is a resident guest blogger at YouMotorcycle. He brings years of motorcycle industry experience and a dry sense of humour. Yes, humour, with a "u". Though sometimes known for his eccentricities, he's actually technically sound and knows his away around a motorcycle, inside and out.